A former elementary school teacher and mother to a child with autism shares the top ways homeschooling can provide the ideal learning environment for children on the spectrum. A homeschooling mom to two boys on the spectrum shares how she traded in the daily struggles of traditional school for a loving, learning environment. Certified Life Coach and homeschooler to her boys explains how vital it is to adapt a curriculum to fit your child and redefine success. With 12 years of experience, this homeschooler of two children with autism provides a list of 10 excellent opportunities for practical socialization at quantities dictated by individual need. A proud mother reflects on the special 10-year homeschooling journey with her son with autism as he prepares to graduate this year. A retired U.S. Army officer and parent to a teen boy with Asperger’s syndrome describes the way homeschooling has dramatically changed his life. Learn about an innovative online program that promotes teaching children through movement and a positive environment from well-known autism experts Rupert Isaacson (Horse Boy), Arabella Carter-Johnson (Iris Grace), and Jenny A Hewitt, MEd. Have you ever considered homeschooling your child? Well, you’re not alone. According to an article published by the National Home Education Research Institute earlier this year, there are about 2.3 million home-educated students in the United States in grades K to 12, up from 2 million just six years ago. 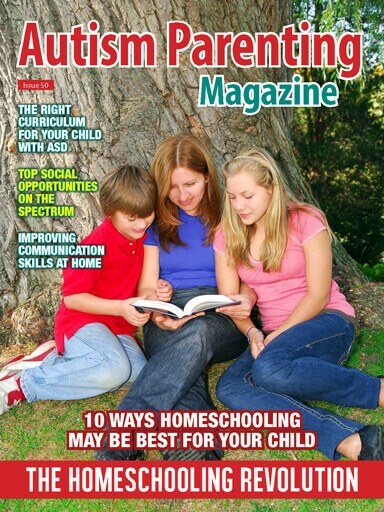 Experts predict the homeschool population will continue to grow 2% to 8% per annum. Why has homeschooling become so popular? Today’s homeschoolers list myriad reasons for forgoing the traditional brick and mortar educational setting, from providing a safer learning environment to the opportunity to spend more time together as a family. Top on the list for many is the opportunity to customize a child’s education. Since every child is different and learns at his/her own pace, tailoring a program to fit a child’s learning style, personality, and sensory needs is ideal — especially for families affected by autism. 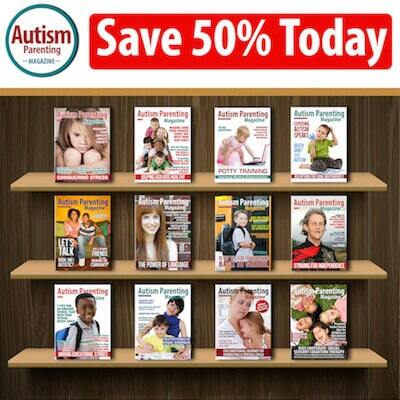 With a new school year on the horizon, we reached out to autism specialists, teachers, as well as families who have had success homeschooling children on the spectrum for advice for this special edition. First, we invite you to take a look at Jenny Herman’s piece called 10 Ways Homeschooling May Be the Best Choice for Your Child with Autism. Read as a former elementary school teacher and mother of a child on the spectrum shares the challenges her child faced at school and how moving education home to a calmer, customized setting made all the difference in the world. Rebecca Moon, mother of two boys on the autism spectrum, also traded in the daily struggles often associated with brick-and-mortar schooling for the at-home experience. Take a look at her article, From Tears to Joy: A Special Homeschooling Journey, as Rebecca shares the challenges she faced when she first began homeschooling and the lessons her family learned. Find out how setting goals and priorities can transform a homeschooling venture. It can be challenging, sometimes, to find the right curriculum for a child, especially when you are new to the homeschooling arena. That’s why we are happy to share LaToya Edwards’ piece called Choosing the Best Curriculum to Fit the Needs of Your Child with Autism. LaToya, who left a law career to homeschool her boys, explains the importance of pinpointing which learning style will work best for a child and how to redefine success. One of the common myths about homeschooling is that children are not able to receive an adequate amount of socialization, thereby limiting opportunities for developing much-needed social skills with autism. It doesn’t have to be that way, says Annie Eskeldson, a homeschooler with 12 years of experience. Please take a look at her piece called Discover the Many Social Opportunities for Homeschooled Children with Autism, as she provides a list of 10 excellent opportunities for practical socialization. There are so many exciting options to choose from to enhance a homeschooler’s life. In addition to curriculum and socialization advice, we are happy to share homeschooling success stories. Please take a look at Penny Rogers’ personal narrative called A Mom’s Story: When Homeschooling is the Best Choice for Life Learning as she reflects on her special 10-year homeschooling journey with her son with autism as he prepares to graduate this year. Christina Schweiss, a retired U.S. Army officer and parent to a teen boy with Asperger’s syndrome, has also shared how homeschooling changed her son’s life in so many positive ways. Take a look at her piece, 6 Amazing Ways Homeschooling Improved My Son’s Life and Ability to Communicate, as their journey is sure to inspire. Lastly, we would like to take the opportunity to share a piece that was featured in Issue 48 of Autism Parenting Magazine that centered on a revolutionary program that can potentially change the way all children learn. We invite you to take a look at the article called Kids Must Move: New Online Course Uses Movement to Unlock Learning, as autism experts Rupert Isaacson (author, Horse Boy), Arabella Carter-Johnson (author, Iris Grace), and Jenny A Hewitt, MEd explain the online program. This new methodology, based on the Movement Method, promotes educating children without the confines and pressures often associated with the traditional classroom. This innovative program promotes teaching children through movement within a positive environment, which is sure to transform the way education is viewed in the future. While homeschooling can be a big commitment for a family, it can reap huge rewards. We wish you the best as you fulfill your child’s educational journey.